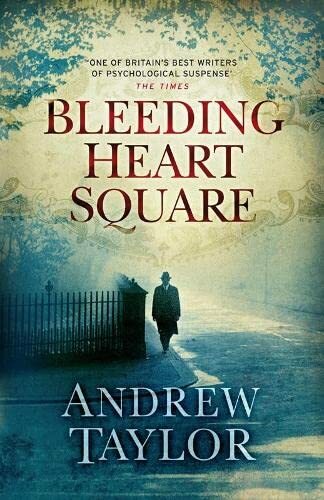 Bleeding Heart Square by Andrew Taylor was first published in 2008. I think it’s the third book by the author that I’ve read but it’s probably the one that I’ve liked least although I would give it a 3.5. I was quite disappointed by the ending because for me it left a lot of trailing threads and I thought maybe there was a sequel to it – but apparently not. The setting is London in 1934, a time of social upheaval with Fascists rearing their ugly heads. Lydia Langstone’s wealthy husband Marcus has become involved with the Fascists, as so many of the upper class did, he’s hoping to get a top job within the organisation – well he would get an even better uniform to wear! But when Marcus attacks Lydia in a fit of pique she wastes no time in getting out of the house, reasoning that anywhere will be better than staying at home to be knocked about by a brutish husband. Life in poverty is a shock for Lydia and people seem to think she’s just playing at being poor when they hear her cut-glass accent, but she has no option but to stay in a cheap boarding house where there are some strange people and goings on and Lydia becomes involved in what turns out to be a murder mystery. 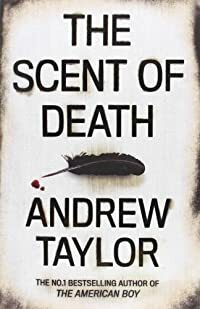 I think that Andrew Taylor managed to conjure up the atmosphere of 1930s London, with Sir Oswald Mosley’s thugs attacking people who happened not to agree with them. Remind you of anyone? I borrowed this one from the library and also The Scent of Death by the same author so I’ll be getting to that one soon.